Specimens collected through SPAR are currently tested for use in two methods of conception: in vitro fertilization (IVF) and Oligospermia Cup. Specimens are not prepared for use in intrauterine insemination (IUI) procedures because it is the opinion of the Centers for Disease Control and Prevention that IUI with sperm from an HIV infected male has not been proven safe, and because Bedford scientists have concerns about the possibility of rare, undetected HIV-infected cells being placed directly into the uterus. It is important to remember that SPAR is a clinical trial for research purposes. The current protocol calls for sperm cryopreserved from two specimens with an undetectable viral burden for each conception attempt, and for the female partner to have herself tested for HIV-antibody at 3 weeks, 3 months, and 6 months following each and every pregnancy attempt. Because IVF does not involve direct contact between the mother and the sperm, it is considered by some to be the safest approach to conception, although this is not known with certainty. As with all IVF procedures, the woman is given medication to regulate her cycle and cause her ovaries to mature more than one egg. While on medication, she will be monitored with blood tests and ultrasound exams. Just prior to ovulation, an egg collection will be performed under anesthesia as a day surgery procedure. The eggs are removed from her ovaries and combined with tested sperm in a culture dish in the laboratory. For this process, many clinics prefer to use a method termed intra-cytoplasmic sperm injection (ICSI). This method involves selecting a single sperm with a small glass needle and then inserting the sperm into the egg. In this way, each egg is exposed to only one sperm. If the eggs are successfully fertilized; they will be returned to the woman’s uterus within the next several days. Additional patient information is available from the American Society for Reproductive Medicine at: www.asrm.org . Started in 2001, this is a newer SPAR procedure. Women (generally under the age of 36) with no fertility problems may undergo an Oligospermia Cup procedure if the tested specimens have a relatively high sperm count. 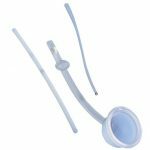 An oligospermia cup is a modified cervical cap that was developed many years ago by Milex. At the exact time an egg is released from the ovary, a physician will place the cup over the cervix and fill it with the thawed, tested sperm. The sperm swim through the cervix into the uterus, thus avoiding the entry of other cells, and bypassing the concerns about depositing HIV-infected cells directly into the uterus. However, because of the direct exposure to sperm, the woman takes one dose of anti-retroviral drugs (usually AZT) at the time of insemination. The medication is probably not necessary, but one dose of AZT is considered harmless to the pregnancy and may provide peace of mind. The cup will remain in place not more than four hours. To maximize the possibility of achieving a pregnancy, it is important that the physician monitor the woman’s ovary for a few days in order to pinpoint the exact time an egg will be released (ovulation). The monitoring involves measurement of hormones in the blood along with ultrasound examinations of the ovaries. The advantages of this procedure over IVF are lower costs, avoidance of multiple hormone injections, and decreased risk of twins and triplets. This procedure is not recommended for couples with low sperm counts or women over 37.